AirTurn's new Manos Mount, modeled after the human hand, securely fits all tablets and smartphones up to 13 inches in size. AirTurn, a leading manufactuers of wireless controllers for iPads, Mac & PC computers, and Android tablets. announces its new Manos Mount, a universal holder with a hand-like grip. 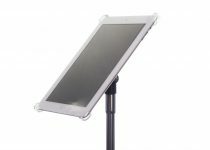 It securely holds and rotates any smartphone or tablet up to 13 inches in size. With over 300 million tablets and 1.5 billion smartphones worldwide from a growing field of Android and Windows manufacturers as well as Apple's dominant iPads and iPhones, the Manos Mount provides a secure, easy-to-use mounting solution for the widest variety of tablet and smartphone designs. 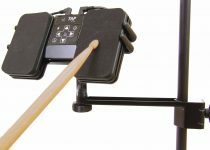 Manos Mount can be used by musicians, speakers, broadcasters, photographers and the disabled for hands-free applications. Modeled after the human hand, the Manos Mount features a unique "thumbs" and cantilever "fingers" design at the end of two spring-loaded arms. (http://youtu.be/H7tmxV7TsMc) The Manos Mount can hold devices in or out of their protective cases, including tablets or smartphones in Otterbox or Griffin Survivor cases. The Manos Mount fits onto any standard microphone thread, providing smooth 360° rotation with locking positions in portrait and landscape views, and a self-tightening hinge that makes it easy to adjust for the perfect viewing angle. 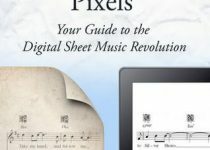 There's no need to loosen or tighten the Manos Mount's tilt and rotation features, so there's no distraction for musicians and presenters when making fine adjustments on the fly. "The problem with most universal tablet or smartphone mounts is that they require you to remove your device from its protective case, add some permanent fixture like an adhesive disc, or they're bulky and complicated to use," explains AirTurn co-founder Hugh Sung. "With the Manos Mount, we've created a simple, intuitive design that lets users work with their tablets or smartphones the way they want to most naturally." The Manos Mount is manufactured in the USA and is available for pre-order, with an anticipated shipping date of December 2, 2013. The Manos Mount retails for $49.00. Founded in 2008 in Boulder, CO, AirTurn, Inc. (http://airturn.com) develops cutting edge tools to enhance the wireless human interface with tablets and computers. 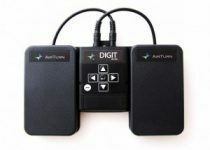 Musicians all over the world use AirTurn products to view and turn digital sheet music pages hands-free, and the company's growing community of over 150 partner developers is creating innovative applications for AirTurn's wireless controllers like the BT-105 and the Digit. AirTurn, Inc. is the owner of the following trademarks and/or service marks: AirTurn, Manos Mount, BT-105, DIGIT. All other trademarks are property of their respective owners.